As a parent, you have a lot to think about before you begin homeschooling. First of all, there’s financial stability, time, and the pros and cons of forgoing a “normal” education. Now, if you’re reading this article, I’m assuming you’ve considered these and decided to take the plunge. That leads us to the next step – figuring out how to (legally) DO it. The first thing you need to know is that homeschooling is not a federally regulated practice. Laws and requirements vary greatly by region. Cross a state line, or even a city limit, and suddenly you can find yourself in a whole new world of rules. In fact, state laws differ so much that few, if any generalizations, can be made. Homeschooling parents have their work cut out for them, from poring over state websites and Department of Education materials to devising regulation-happy curricula. Unfortunately, I can’t do this for you. However, I have made your job a bit easier by outlining the five most fickle aspects of home education law. This is the very first thing you’ll need to know. In some states, parents can teach their children without special paperwork. Other states require that you obtain official certification prior to starting. Still others require that a credentialed teacher or tutor, separate from the parent, be involved in the child’s education. You can find out your state’s requirements via the Department of Education website–Google “[your state] Department of Education.” Conduct all your research there to ensure you get accurate information. This is one area in which regulations vary wildly. In Ohio, for example, parents who wish to homeschool need to obtain approval from the superintendent of their local public school system via an intricate, lengthy process. However, just across the state line in Pennsylvania, no such “permission” is needed. Parents instead must fill out an affidavit certifying that their plan is in compliance with state law. Up in Alaska, the system is looser still; parent-educators don’t even need to register with the state or their school district. Washington: Occupational education, science, math, language, social studies, history, health, reading, writing, spelling, and the development of an appreciation of art and music. Pennsylvania: Regulations differ for the two levels of education. Elementary-aged children must study English spelling, reading, and writing, arithmetic, Pennsylvania and U.S. history; civics, health/physiology, physical education, music, art, geography, science and safety education, including fire safety. Children on the secondary school level must study English language, literature, speech and composition, science, geography, civics, local, national and world history, algebra and geometry, art, music, physical education, health, and safety education. Some state requirements are a little bit “out there.” Massachusetts, for example, requires that homeschoolers study “good behavior.” New York demands that children be instructed in “substance abuse and traffic safety.” Be sure you review your state’s requirements carefully, and research any questions that pop up. If you’re ever unsure what is meant by a subject’s name, your best bet is to check with your state’s Department of Education. Helpful resources can generally be found on their website. Common Core Standards: The Common Core State Standards (CCSS) are suggested educational standards for public schools. They were launched in 2010 by the National Governor’s Association. They are not mandatory; however, they have now been adopted by every state except for Alaska, Nebraska, Texas and Virginia. The CCSS do not apply to private schools, charter schools, or home schooling curricula. However, due their popularity, they may affect the content of standardized tests such as the SAT. It is therefore important that you review these standards and tailor your curriculum to cover their bases. This way, your child will not feel lost when testing time rolls around. Details on can be found on the CCSS website. It is crucial that you do your research and go through the proper channels. Be sure you are getting your information from a reputable source. Some homeschooling advocacy groups, such as HSLDA, offer helpful comprehensive breakdowns of state regulation on their websites. However, since these are not “official” sites, they may provide limited, biased or outdated information. 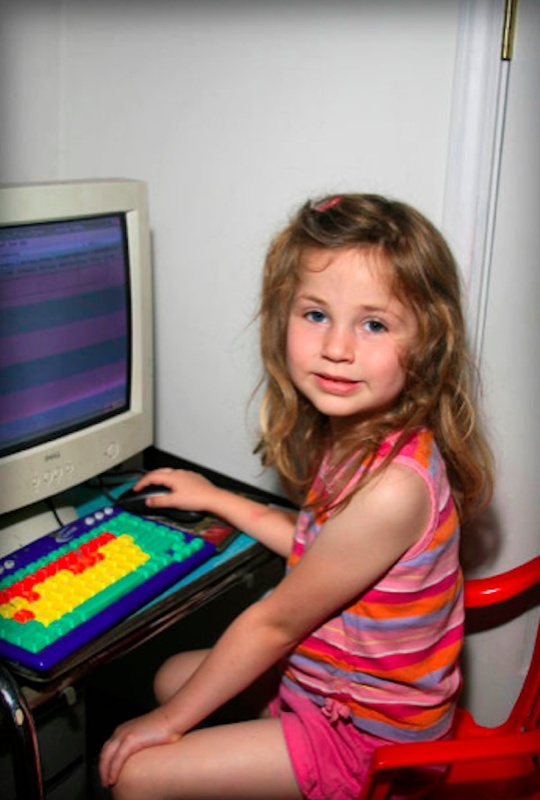 Your number one resource for home schooling facts is your state website. Just look up “[your state].gov home schooling” and click the link that leads to the Department of Education. If you homeschool through the high school level, you’ll want to consider the next step, college. An official final transcript from a home school association or agency. Both schools base their rules upon state laws. UMass requires that some sort of institution be involved, whereas Penn State uses slightly more relaxed language. Futhermore, UMass applicants must obtain the approval of their local school district or a specialized agency. Penn State applicants can use any organization “governed by a State Board of Education.” State laws vary, and thereby so does the attitude of state schools toward homeschoolers. This is something to keep in mind, particularly when your child is selecting schools to apply to. All colleges will require your child’s high school transcript. A basic transcript summarizes the student’s overall scores throughout his/her highschool career. It include grade level, courses taken, credits earned and scores/grades given. Homeschool transcripts work just like regular school transcripts. However, it’s a good idea to make your child’s transcript look official. Remember – it’s going to be rubbing shoulders (or corners) with important-looking charts topped with school crests. Look at it this way – even if your home classroom is Casual Friday, your transcript needs to be black tie. Many resources exist that can help you draw up a good transcript. HSLDA.org provides some helpful samples, as well as information on calculating your child’s GPA. 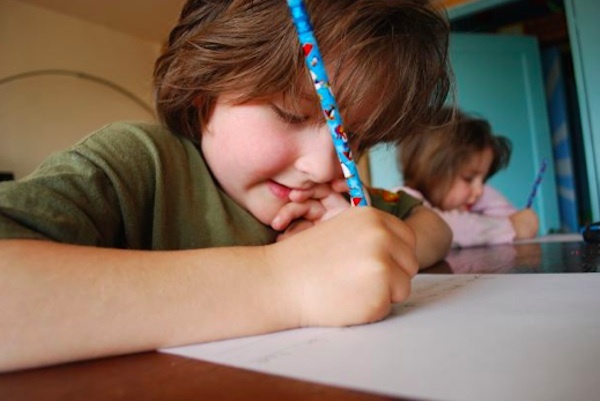 Some home schooling families dislike grades, for a number of good reasons. However, the hard truth is that schools value grades and scores. Using them to record your child’s progress improves college admission odds and also eases the transition into a “traditional” environment. You will be basing your child’s transcript on high school records. Regardless of your child’s future plans, you need to maintain complete records of his/her education. Your child may not plan on attending college right now, but nobody knows what the future holds. As with most things, it is wise to prepare for any eventuality. These days, homeschooling is still controversial, and every so often a bill is proposed that threatens homeschoolers’ rights. In order to protect your interests and those of your children, consider joining a homeschool advocacy group. These groups work hard to educate parents, schools, legislators, and the general public about the benefits of homeschooling. They also provide resources for parents who may be facing legal hurdles. There are tons of groups out there – do a Google search for “home schooling advocacy groups [your state]” and see what pops up. Bear in mind that these groups vary greatly in terms of political and religious bents. Be sure you choose a group that fits your beliefs. Most homeschool groups are pretty small-scale in nature – town or county rather than state-size. Your best bet is to review a number of groups in your area and give yourself plenty of time to decide. Below are some helpful links and databases to get you started. www.hslda.org – Perhaps the biggest homeschooling advocacy group in the U.S., the Homeschool Legal Defense Association has been defending homeschoolers’ rights since 1983.
http://www.home-school.com – The web home of “Practical Homeschooling Magazine,” Home-School provides thought-provoking articles, a worldwide online forum and a list of homeschooling organizations around the globe. www.secularhomeschool.com – Many homeschooling organizations are religious in nature; this website is a great resource for non-religious homeschooling families. Provides links to support groups in your area, as well as sets of suggested curricula. John’s Homeschool Resources – Straightforward, and well organized, this website provides links to homeschooling groups as well as information about state homeschooling law. Mary Chandler is part of the team at formswift.com, which is designed to make it easy for everyone to put together legal forms without the need for a lawyer. FormSwift offers free legal documents for a variety of uses by individuals, families and small businesses. I never even thought about this. Great post! I’ve thought about it over the years, but I don’t think it’s a good fit for our family. I’ve thought about this a bit, I was homeschooled only for 2 years. Thanks for the input. Just because a child is learning at home instead of in a classroom with 30 other children does not make their education “abnormal”. my stepmother chose to “homeschool” me through middle and high school. she herself didnt have an 8th grade education. and the schools were not accredited.. so guess what.. not only did i not get a highschool education, i didnt even get a real diploma… guess what? I have to take adult ed courses at the college for an extra 3 years of education before i could declare or begin a major.. its something to think about when homeschooling.. without a legal highschool education your kids may have to pay for a pore-college education if they want a higher learning degree… and what a waste of time and money that is! Good info. Things have changed so much since I was homeschooled. I need to figure out the logistics before making a decisions about my own kids. There is a lot to consider when thinking about homeschooling. I have done it and would highly recommend that others join HSLDA. It’s like having an insurance policy. Thank you so much for a very informative post. I homeschooled one of my older children for two years (he’s now 21) and am currently homeschooling my youngest sons (ages 10 and almost nine.) There are so many benefits for the kids to having a home education, and I think it can be beneficial for the child-parent bond, too. Honestly, if a child can’t be sent to a private or parochial school, parents should homeschool. The public school system is worthless. I am so sorry that I subjected any of my children to it and now we are all paying the price of shoddy public school teaching practices and district and state policies. I think it’s really sad that people who homeschool their children have to consider that they may, some day, need legal recourse because they want better for their offspring, when the schools don’t have to worry about any legalities for churning out kids with substandard skills in very basic subjects. I’ve been toying around with homeschooling my daughter. She is having a pretty rough start to school. Thanks for the tips. Such helpful information to know. Now I know if I ever decide to home school. I’ve considered this strongly but I’m not sure I’m capable of providing my sons’ with the education they need. Thanks for your posting. Lots of good information listed .Others in my family have home schooled their children. Others are thinking of doing it also. It seems more are doing it now. I think it has its pro’s and con’s. Just make sure they get to interact with other kids and that they are credited for it. I think homeschooling is a hard task and parents need to think really hard about teaching their kids at home. But, I think homeschooling can be a great way for children to get a great education. Interesting post! I know a lot of different kids that have been home schooled at some point in their life, and while I knew rules varied by location, etc. I never gave much thought to how difficult or varied homeschooling could be based on state. Wow, I had no idea about more then half of this information. I love that homeschooling is becoming more widely accepted and not just by our culture but by the education department. Thanks for this post–you put a lot of effort into it! I think homeschooling is an awesome choice for SOME families, but a lot of thought and preparation needs to go into it. It’s not something you can just decide on a whim and then wing your way through it. Your kids deserve better, and that’s what this is all about, right? I’ve never thought about this but what a great post you put together! I have considered homeschooling my 3 kids and after reading this post I think I have some things to think about. Thank you so much for posting this! I love the idea of homeschooling, but I know that I personally thrived in a school with peers & so far my son seems to take after me in that way. If for some reason that changed or I didn’t think he was getting the education he needed, I’d strongly consider homeschooling & would take these things into consideration! Great post! Really helpful. I’ve been back and forth on the idea of homeschooling my son for a while now. You’ve definitely given me a lot to think about. I’m still not sure of what I’d like to do but I will say that I’m leaning towards homeschooling him. We have something called the K12 program in Georgia. Thank you so much for this post! I do not have children, however I have been reading a lot on Common Core and it seems like it dumbs down children and indoctrinates them using a warped, biased point of view! I actually shared a link with a few friends of mine who have children to warn them of this new curriculum. I will also share this post in case they do notice anything worrisome. Thanks again from Ohio. I’ve often thought about homeschooling my children but all the legalities of it scare me. Thanks for this post. Interesting ideas – I really never considered homeschooling our kids. It is not something I would be comfortable doing it although I know that many kids are very successful and happier when homeschooled.